Thank you for visiting my site! You’ve taken the first step in feeling better. You are here because you are struggling. You feel overwhelmed, irritable, and exhausted. Maybe you are raising kids and trying desperately to maintain a relationship and find time for yourself. Perhaps you are seeking work/life balance and falling off the balance beam most days. Perhaps you are pregnant or postpartum and struggling with lots of anxiety and some depression and scary thoughts. You don’t really understand how you are feeling, and the ways you’ve been coping are no longer working to help you feel better. You just want to feel like yourself again. The good news is, I can help. I’ve been Licensed as a Clinical Social worker for 16 years. I specialize in working with mothers in all stages of parenting, from conception to parenting adult children. It’s a stressful time, and difficult even in the best of circumstances. My clients describe me as compassionate, understanding and easy to talk with. My style will help you focus on your strengths, understand yourself better, and explore your patterns. You will also learn to be gentle with yourself as you make the necessary changes to feel better. 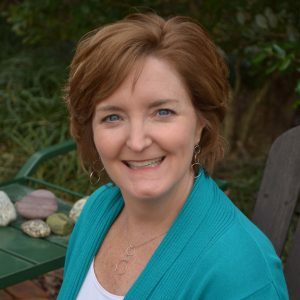 I am a Licensed Clinical Social Worker in Virginia, and work with clients throughout the state via my teletherapy platform using itherapy.. My past professional experience has taken me into schools, healthcare, and nonprofit organizations. This breadth of experience gives me a unique advantage when my clients are navigating the systems that affect their lives and families. Of particular interest to me is the emotional journey of mothers through pre-conception, pregnancy, and early parenting, as this is often an equally joyful and challenging time for most women. I am a trained and experienced pregnancy and postpartum counselor, and also partner with individual adults struggling with anxiety and/or depression or life transitions. I am a graduate of James Madison University and Virginia Commonwealth University (Go Rams!! ), and reside in Richmond with my spouse, children, and my black and white dog and black and white cat. I enjoy reading, cooking, gardening, cycling, and hiking the Virginia mountains. My style is person-centered and solution-focused, seeing myself as much as a partner as a counselor. I feel honored to walk with you on this journey. I utilize cognitive behavioral techniques incorporating mindfulness, as well as some aspects of Acceptance and Commitment therapy and Dialectical Behavior Therapy. Ultimately, I will follow your lead and we will move at the pace that feels most comfortable for you, while still challenging you to learn about yourself and move toward your goals. Sliding scale available for financial need - please inquire! While therapy is an investment that will pay off in positive ways for the rest of your life, I recognize that it can be financially challenging for some to afford. While I am out of network for all insurance providers, I can issue you a “superbill” to submit for reimbursement. Please inquire with me, and I will help you work through this process. I also accept all major credit cards through a secure client portal. We will work together to make therapy as affordable as possible for you! Please check back for Tracey Wingold, LCSW, LLC's blogs. Is Online Therapy a Good Fit for You?! How adding a “call to action” can increase your Facebook engagement and get you seen by more ideal clients. Jana Scrivani is now a contributing blogger for Shrink Tank! The Most Fundamental Part of Marketing For Therapists. Aging Parents – Independence vs. Safety ? Can my Aging Parents Live Alone ? Caregiving a Gift or a Burden ? Our blog is written by practicing professionals who offer online counseling services. Their advice, tips, and experiences are shared to inspire and educate peers, clients, and those seeking to learn more. If you are experiencing suicidal thoughts, call the National Suicide Prevention Lifeline at 1-800-273-8255, a free 24-hour hotline available to anyone in suicidal crisis or emotional distress. You will be routed to the nearest city crisis center to you. If you selected "Other", how did you hear about us? Notice: This message is not HIPAA compliant. If you are concerned with keeping this information private, please contact the counselor by phone. His or Her phone number is provided on their page.